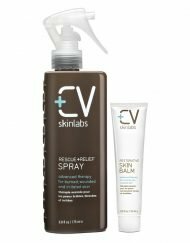 I was really interested in a high performant product that could ease right away any signs of itchiness, discomfort or stress and hoped this spray would become very soon a beauty staple in my routine. And the answer is yes: I might have found a little gem here! 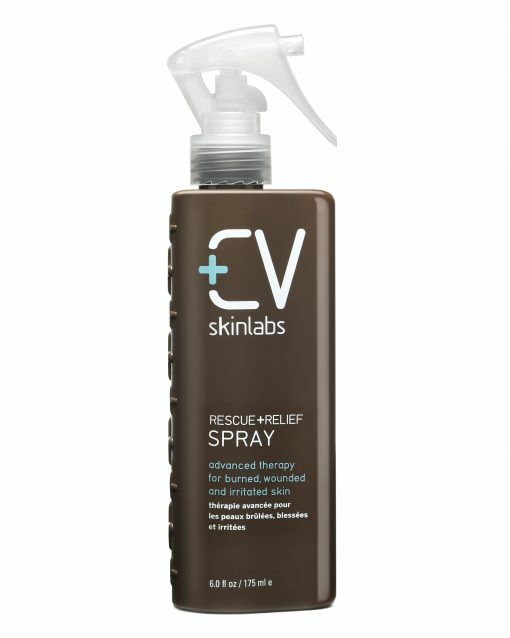 The CV Skinlabs spray has been formulated as an “advance therapy for burned, wounded or irritated skin”. My skin is neither burned or wounded. It also does not show any kind of distress at the moment apart from occasional redness. What has particularly attracted me in the Rescue Relief spray is its awesome formulation.You can find a plethora of soothing and anti-inflammatory ingredients such as Aloe vera, water lily extract, Turmeric root extract, Ginger, Alpha-Bisabolol, Oat kernel extract- to heal and calm any flare-ups. I mainly use this spray on the face and on the decollete in the evening instead of a toner. The emulsion is light and milky and feels like a nice breeze but I try to not overspray as it could make the skin a tad too sticky. This is a product that I mainly reach to balance my skin and bring a moment of peace as the serum delivers the ultimate soothing ingredient cocktail. 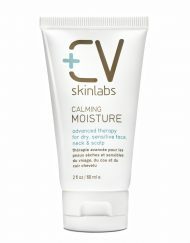 If you have a sensitive, tired, stressed or troubled skin, I would really recommend this product as the ultimate SOS skin treat! I LOVE THIS SPRAY!!!! I love using the rescue and relief spray in the morning right after I wash my face. I use it before I put on makeup also and it helps set the makeup on my face. It’s my favorite to go to spray. It’s great to use as a toner because it’s all natural and I have sensitive skin. Other products dry it out and make it look horrible. 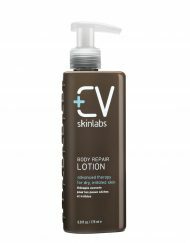 So the fact that this product makes my skin feel soft and moist it’s a great plus in my book. I tried the R + R Spray during testing and I loved it! I have Psoriasis on my scalp and it extends down onto the back of my neck. I would spray it on and it would soften the tight, dry and itchy area of my neck and scalp. I felt relief soon after I sprayed it on. The other thing I love about it is the texture. Other ointments I’ve used are heavy, thick or oily and smelly. They are often hard to wash out of my hair and make my hair greasy when applied. The R+R Spray was so light and non greasy that I could put my hair up after application and it wouldn’t make me self conscious at all, my hair would dry. Thank you so much for a great product! My “cure all” solution. I use this on anything and everything. It’s a miracle product. I love this brand. The lotions are fantastic. However, I use this spray on a daily basis, even when I feel fine. It’s the best face toner and body moisturizer for anyone. I highly recommend this for those who are easily irritated and need help. CV is so relieving. Best universal product I’ve ever used. Rescue + Relief Spray has become my new best friend this summer! I use it on bug bites, shaving irritation and when I get a little too much sun. 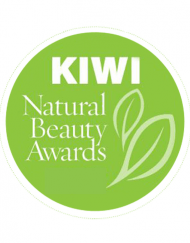 I also love being able to recommend it to clients who suffer with eczema, psoriasis and other kinds of dermatitis. 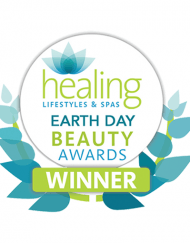 It’s so soothing, nourishing and best of all, natural! After chafing and irritating my chin area I used both the Rescue & Relief Spray followed by the Restorative Skin Balm and within two days I noticed accelerated skin healing. The dryness went away and new healthy emerged. The Rescue + Relief Spray has made a huge difference in the way my family members care for bruises and irritated skin. It soothes without stinging on initial contact. My toiletries cabinet will not be without this amazing product. A life saver while going through radiation therapy for breast cancer. My daughter got a Sunburn…used the Rescue spray and my daughters face was back to normal the next day. Most impressive story? My dog has had a bald spot for about 3 months. The skin was a little irritated so I decided, why not? I’ve been spraying the area with the Rescue + Relief Spray twice a day and its been Amazing!! Thank you so much for your products. The Rescue and Repair spray is AMAZING! Yesterday my son was stung 6 times by jelly fish and the spray immediately took away the sting and within an hour the redness was completely gone! 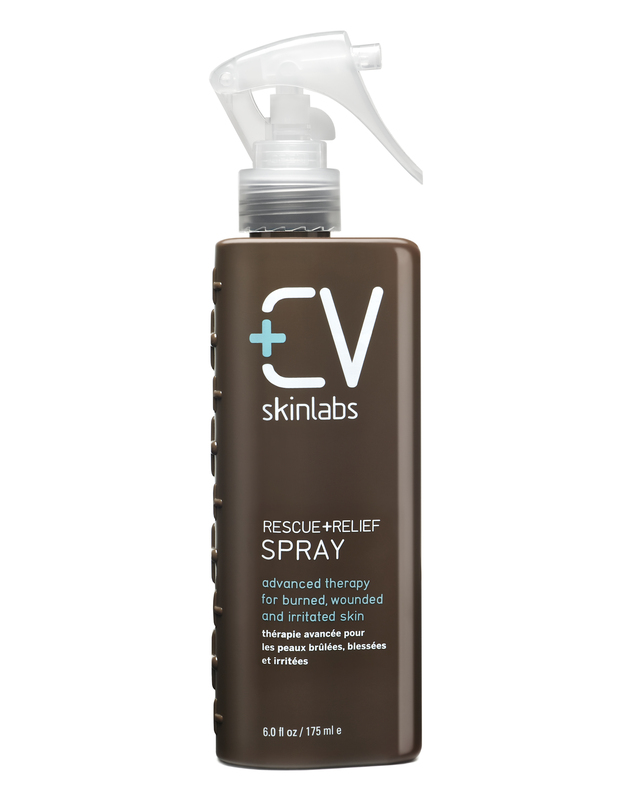 This is a really lovely spray for any sort of sensitive skin condition. I know people who use it on their face as a toner, but I purchased it to help with razor burn in my bikini area and dry skin on my arms and legs after swimming in chlorinated water. This spray has a really nice milky consistency that really stays where you apply it. I always make sure to rub it in after spraying and it spreads fairly well. 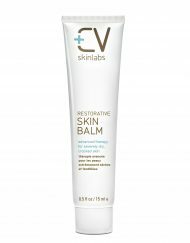 It has helped my dry skin when I layer it with body oil and sometimes, lotion. It has also been keeping my bikini area moisturized and has reduced the days I used to spend with razor rash. I also like that I could use this on my kids, if needed. I will definitely be repurchasing this once I run out. My oncology esthetician recommended Rescue and Relief Spray when she heard I would be having radiation treatments. What a lifesaver it turned out to be! Once I felt the relief it provided after a treatment I quickly ordered all of the other products in the line. I let the Rescue and Relief spray air dry to cool down my skin after each treatment and then covered the area with Skin Balm. Throughout the day I kept the treated area moisturized with body repair lotion. 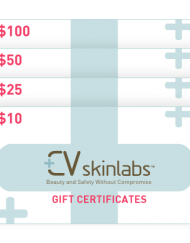 My skin held up beautifully and I credit CV Skinlabs products. This helped a lot during radiation for breast cancer. Once my skin started to burn, itch, peal, and ooze this became my go-to. I have been putting the body repair lotion and rescue + relief spray on my very itchy 8 month belly and it has been such a relief! Seriously more soothing than anything else I have tried!!! I am almost out and need to get more as I am sure I will use plenty this last month. Thank you for making such amazing products!! We can’t get enough of the instant cooling and soothing feeling of this awesome spray! Goes on light with no harsh scent. 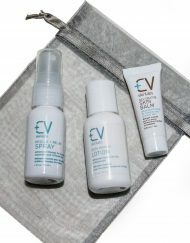 A must-have for the beach bag! I use this on my toddler who has eczema and scratches his patches. I used to get so nervous and stressed out when I caught him scratching but now I reach straight for this spray and spray his patches lol. I feel like the dad from My Big Fat Greek Wedding and his Windex bottle haha. All laughs aside I am really pleased with this and am keeping my fingers crossed this remains effective. I have also used it on my own rashes or when my skin is itchy and damn, it cools it down! I decided to use some of your products with my bichon frise, these dogs always suffer with skin infections or as they called hot spots. The doctor usually has to give them antibiotic. I try supplements on my dog like probiotic, and natural powders to heal the intestinal track and most of the time they work. So I decided since your product are recommended to use on kids it should be safe on my dog. She started to develop skin irritation on one of her legs and I sprayed it with the rescue and relief spray and she actually let me do it I think that really made her feel good. The when dry I used the skin balm. I noticed at the begging that the skin turned reddish but the next day it was normal and cured. Thanks for giving me an alternative to use with my baby instead of running to the doctor and get her antibiotics. I am so happy that you have this available no only for us but for our four legged friends as well. I bought this spray for my sister who was at the time going through breast cancer treatment. During the radiation treatment she became raw, the skin completely gone but was still advised by her doctors to put on a cream they suggested. The most painful part of treatment was rubbing this cream in. I thought there has to be something out there that you don’t have to rub in and we found it! This made it so much easier on her and healed her quickly too. Wonderful product for 3rd degree burns. It was a life saver.